I can’t believe 30 minutes are up. 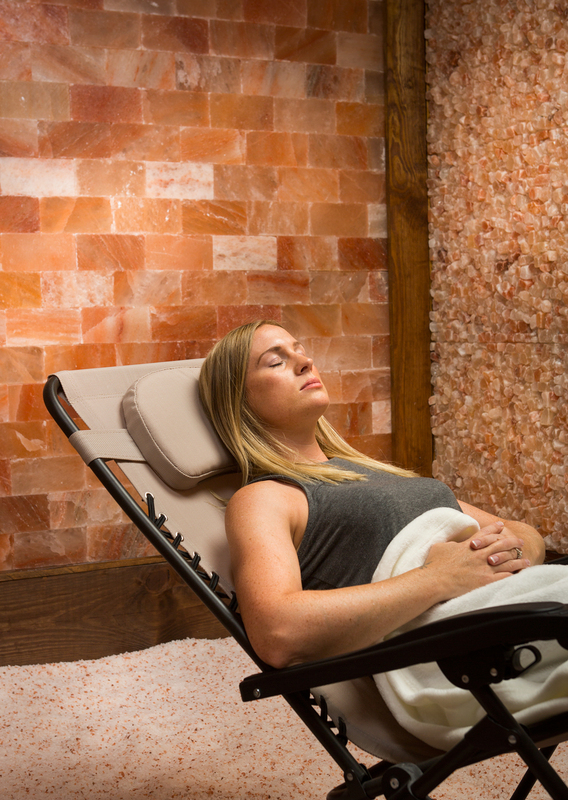 I’ve sunk into a tan-leather, “zero gravity” chair that vibrates subtly in sync with the soothing music pumping through my headphones, and, despite my closed eyelids, I can still sense a dim, rosy glow from the Himalayan salt brick wall. But Carrie Wright, a longtime corporate marketing professional who recently opened Intown Salt Room, opens the door, ending my session. Her Grant Park studio offers both meditation, which combines salt and sound, and breathing sessions.